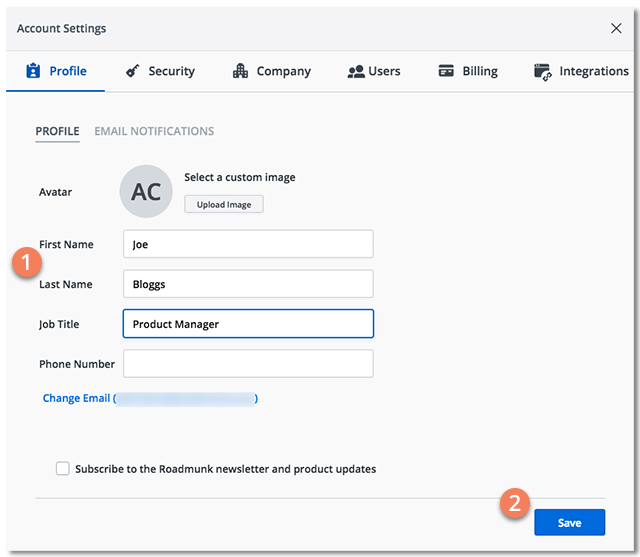 Your Roadmunk profile contains personal details such as a your name, job title, and email address. It's also the place where you can change your email address, subscribe and unsubscribe to Roadmunk emails, and manage your email notifications. You edit your profile and other information in the Profile panel in Account Settings. NOTE: To change other account information, go to Change your password and Add a new login method. 2. In the dropdown menu, select Account Settings. You edit your personal details in the panel's Profile tab. The tab is selected when you open the Profile panel. 1. In the Profile tab, edit your details as needed. NOTE: First Name and Last Name are required. 1. In the Profile tab, click Change Email. 2. Enter a New Email. Roadmunk will send a confirmation email to the new address. You'll need to respond to the email before the change takes effect. Roadmunk sends out an email newsletter as well as email notifications about product updates. 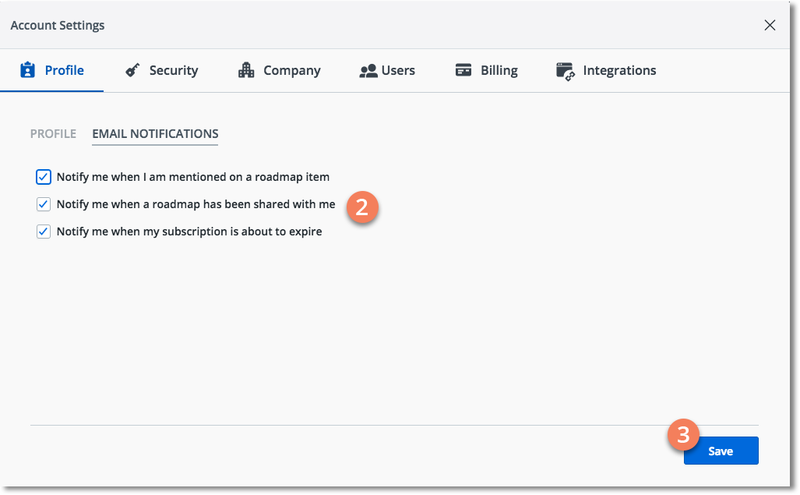 To receive Roadmunk emails, select the Subscribe checkbox at the bottom of the dialog, You can stop receiving emails any time by unselecting the checkbox. 1. 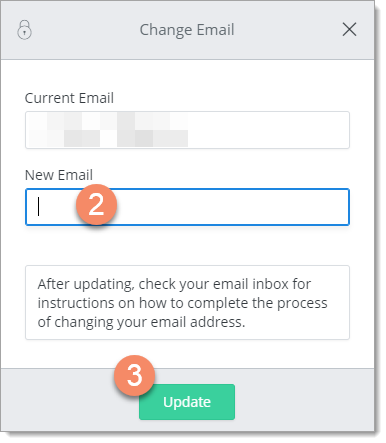 In the Profile panel, click the Email Notifications tab next to the tab. 2. Turn notifications on or off by selecting/unselecting the checkboxes. 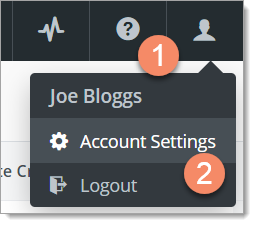 TIP: Notifications are turned on by default in new accounts.